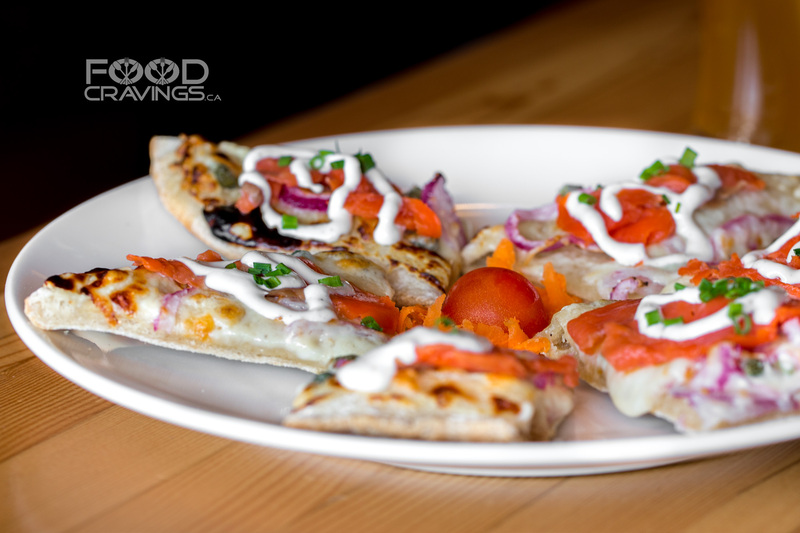 Rocky Mountain Flatbread Company | Changing the world one extremely tasty pizza slice at a time. 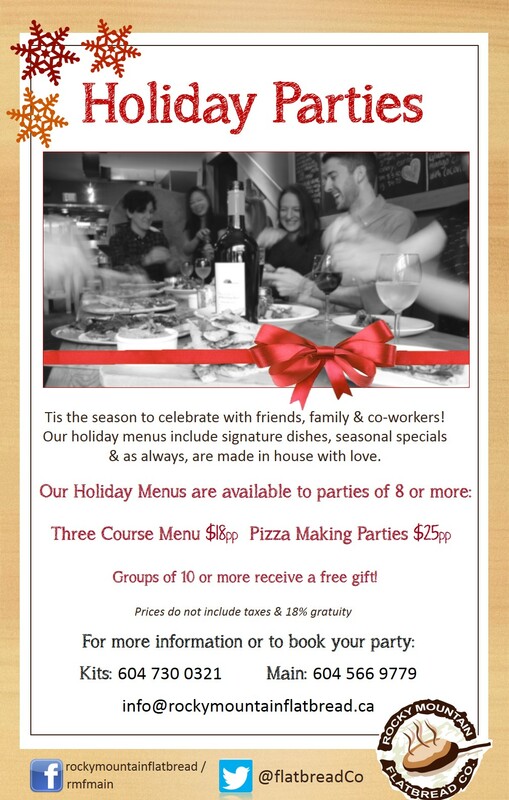 Join Us for a New Years Celebration – Family Style! What’s better than spending the weekend enjoying family time! Rocky Mountain Flatbread and H.R. MacMillan Space Centre have teamed up to ensure your family can chow down on pizza, catch some cool movies and learn about the wonders of outer space at a great price. The third Saturday of every month is Saturn-5 Saturdays: a series of family activities with related space themes. This Saturday 16th don’t miss out on creating awesome planetary mobiles! Check out http://www.spacecentre.ca/family-programs#sat5sat for the next Saturn-5 Saturday programming. space-themed holiday movies in the auditorium to light up your afternoon. 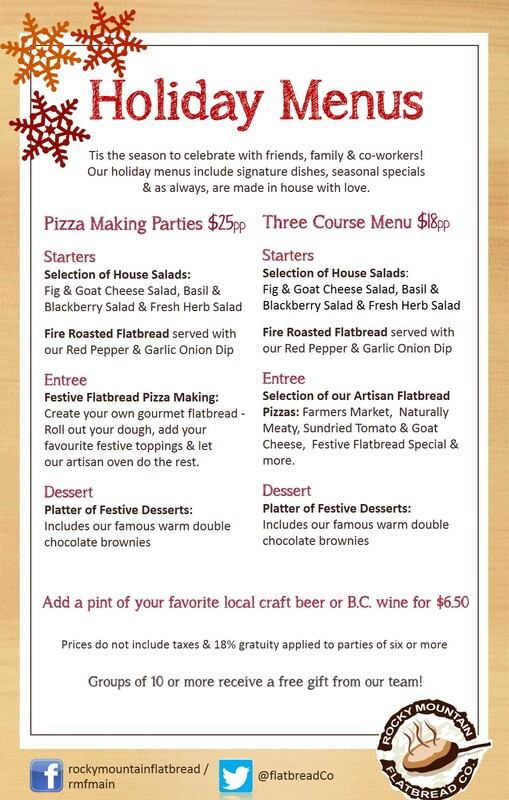 Go to Rocky Mountain Flatbread after your visit, show your Space Centre ticket stub & receive 15% off, on all food orders. This offer cannot be combined with gift cards or other promotions. Double Bonus: Present your restaurant receipt when you visit the Space Centre for a 15% discount on admission! 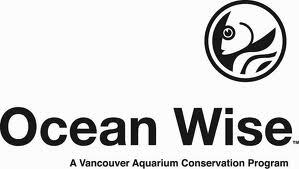 November is Ocean Wise Month! As a proud Ocean Wise partner, Rocky Mountain Flatbread Company is featuring sustainable seafood inspired pastas and flatbreads on our daily specials menu. As our daily board changes each week, so will our feature Ocean Wise inspired selection of seafood. Don’t forget to check out some of our Ocean Wise menu staples, such as our West Coast Salmon Flatbread App and our Pesto Shrimp Flatbread Pizza. 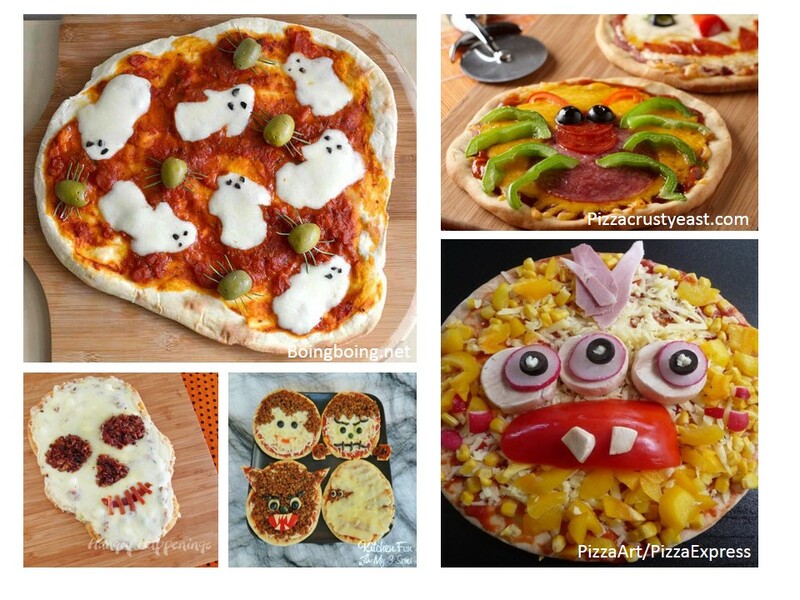 Enter to Win Halloween Pizza Making Competition! It’s time to get spooky – ghouls and gals of all ages are invited to make their own pizza monster! We want to see how creative you can be with your pizza creations – Dr. Frankenstein had a lab for his monster, but all you need is a kitchen, a pizza base, toppings and imagination. Submit your pizza face picture on our Twitter or Facebook pages with your name and age and we will award the most creative adult and child submissions’ with a dinner for four on us! Pizza bases are available for purchase at Rocky Mountain Flatbread or you can use an English muffin, pita, tortilla, etc. Are you hosting a Thanksgiving dinner for family & friends? Or looking for a great starter to contribute to a meal you have been invited to? Perhaps you have decided to go stress free this weekend & want a restaurant with an authentic fall harvest menu – whatever your plans, our Butternut Squash & Apple Soup is a Thanksgiving must! To cube the squash, peel it, cut it in half, remove the seeds and then cut it into chunks. Use vegetable stock to make this vegetarian. Sweat onions and vegetables. Heat butter and oil over low heat in a large stockpot. Add the onions and cook over low heat for about 10-15 minutes or until tender, stirring occasionally. Add the butternut squash, apples, and curry powder to the onions and sauté for 3 minutes over medium heat. Season with salt and pepper. Add liquid and simmer. Add the hard cider and chicken stock to the pot until the vegetables are covered with liquid. Bring to a boil, and then turn the heat to low and simmer for 30-40 minutes until the veggies are very soft. Puree, season and serve. 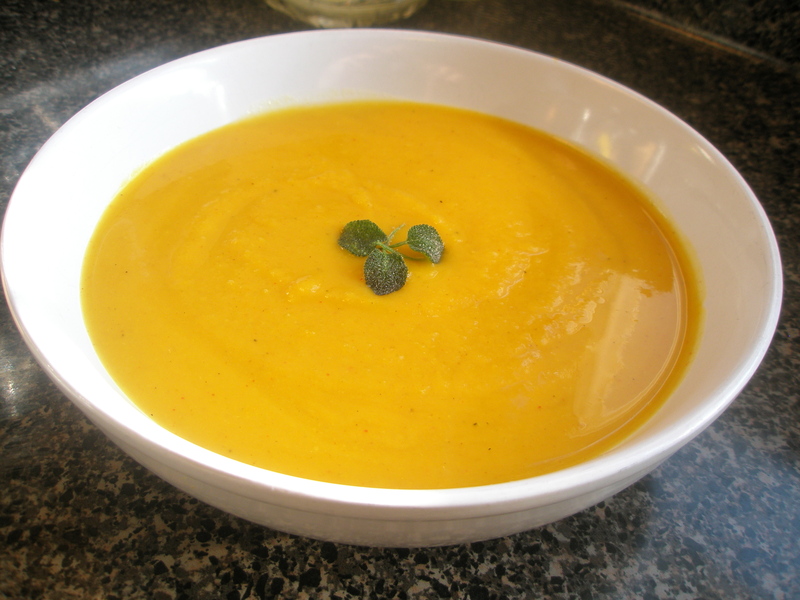 Puree the soup with a hand blender or in a food blender or food mill. Return soup to pot and season to taste with salt, pepper and cayenne pepper, which gives this sweet soup a nice spicy aftertaste. Make crispy sage leaves for garnish, if desired. Heat a little oil in a small sauce or sauté pan. When the oil is hot, dip or lay the sage leaves in the oil, turning them if necessary, and fry until crispy, about 5-10 seconds. Happy Thanksgiving from the team at Rocky Mountain Flatbread Co. Many of our fall foods are easily preserved for the lean winter months. Preserving can be done in ways such as canning, freezing, drying or curing. These are traditional methods that our ancestors used safely for thousands of years. The recent industrialization of food production has replaced these traditional techniques with chemical preservatives to extend the shelf life of our foods. 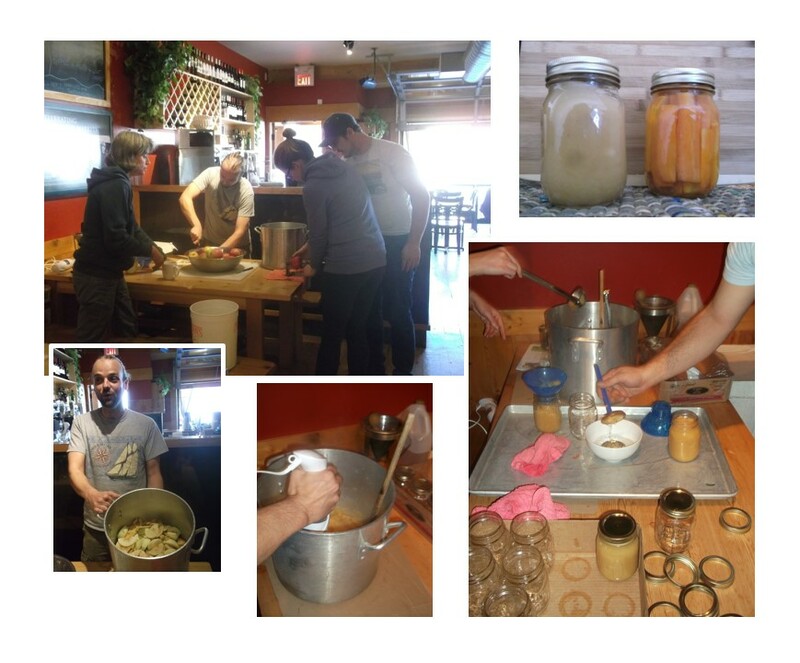 As a huge supporter of seasonal eating, Rocky Mountain Flatbread hosted a canning workshop Sunday, October 6th. Canning is a method using a hot water bath or pressure canner to seal foods inside a glass jar. Acidic foods like jams and pickles can be canned using a hot water bath as the acid inhibits bacterial growth. RHN Brendan Young joined our guest to demonstrate how easy it can be store delicious organic B.C. apple sauce and pickle local carrots with a kick! We started the workshop off by cleaning, peeling and coring our sweet variety apples. Using a pot filled with enough water to cover the surface area of the bottom, we set the apples aside to boil until soft for approx. 15. While the apples simmered we sanitized our jars. Jars can be sanitized by boiling in water, in the dishwasher or in the oven. Once ready, we blended our apples (a sieve can also be used) until we reached our desired texture. If you wanted to season your apple sauce you could now add cinnamon, nutmeg, maple syrup, etc. The apple sauce can then be transferred into the jar. Leaving about an inch from the lid pound the sauce to remove any air bubbles. Use the magnetic lid lifter to remove lids from sterilizing water and transfer to jar. Tighten the ring around the jar and submerge in the hot water bath for 15-20 min. Your hot water bath should cover the top of your jars with an inch of water. Once you have removed the jars from the bath, allow them time to cool. The lid is sealed if you hear a pop and it is sucked down. If you touch the center of the lid after the jar is cool and it can still pop up and down the jar is not sealed and should be re-submerged in a hot water bath. To pickle our carrots we washed and chopped the carrot spears to the height of the jar. To create our brine, we combined 8 cups water, 8 cups apple cider vinegar and 2/3 cups sea salt. As the brine was brought to a boil, we stuffed our carrot spears into the sterilized jars as tightly as possible (you do not want any room as carrots may float or pop up in brine and/or shrink while in hot water bath). To add some extra flavour we added 4 peppercorns, 1 clove of peeled garlic and 1 chili pepper. 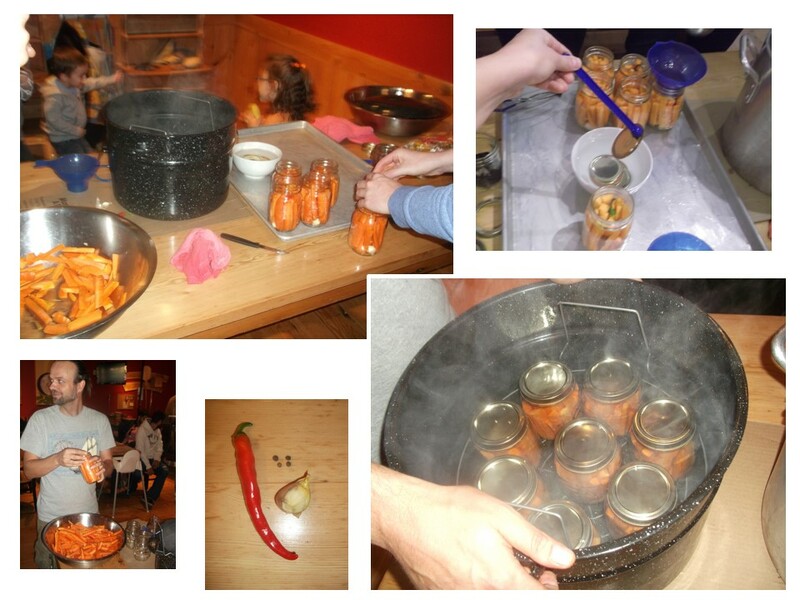 Once the brine had been brought to a boil we removed it from the stove top to ladle into our carrot stuffed jars. Ensuring all carrots were covered with the brine, we sealed our jars and submerged them in the hot water bath. Leave carrots to cool and seal. Wait at least 2 weeks for carrots to pickle. It is important to always use new lids, but jars and rings can be re-used if sanitized. Thank you to Brendan Young for hosting this great workshop! We hope all of our guests will enjoy their fall preserves for seasons to come.